This article gives several fun social skills activities that you can do with your child. While the activities are described in a one on one format between parent and child, many of them can also be used with a group of children such as siblings, students, or clients in a group therapy setting. Parents, teachers, guidance, counselors, psychologists, and speech/language pathologists (really any adult) can implement these activities. Helping your child develop their social skills can make a lasting positive impact on their life. People with good social skills often know what to say when, how to behave in a variety of situations, and how to make good choices. Through everyday interactions with the people in their lives, many children pick up positive social skills on their own; however, some children need more direct social skill instruction. You can practice social skills with your child in a variety of fun ways. These activities are also a great way to bond with your child/student(s). What the research says: Phillip C. Kendall, Professor of Psychology, reported the positive effects of using modeling and role playing, and teaching self-evaluation when teaching social skills. Further research, such as Social Skills Training for Teaching Replacement Behaviors: Remediating Acquisition Defi cits in At-Risk Students, confirms the benefits of intense social skills instruction. 1. Take turns telling short stories to each other. Skills practiced with this activity include: listening, following directions, taking turns, ignoring distractions, cooperating, and showing empathy. If you think it would be necessary for your child, limit the story to five or ten sentences per turn or two to five minutes per turn (set a timer if you are setting time limits and your child has trouble with the concept of time). Children who give too many details when sharing information or who have trouble staying on topic may benefit from this type of limit setting. When you tell a story to your child have her practice these same skills: summarizing the story, asking questions for clarification, and showing empathy. If you want to have your child practice ignoring distractions, play the game in an area where some distractions are present such as a busy park. Tell your child ahead of time that you will be playing this game at the park and you want her to practice focusing on the game and tuning out any distractions such as dogs, other children, and fun playground equipment. Remind your child that when she is listening to the teacher at school she may have to ignore distractions. If your child becomes distracted while you are telling each other stories, use clear short directives to bring her attention back to you (e.g.,”Keep telling me your story,” “Look at me while I tell my story,” “Remember, you need to summarize the story when I am done,” etc). You may want to have your child tell you her story first, so you can show her an example of how to summarize, ask questions for clarification, and make empathetic statements. When it is your turn to tell a story, you may need to remind your child to keep listening and help her summarize the story you tell, come up with clarifying questions and show empathy. As your child becomes more proficient in these skills, you can slowly fade out your guidance. 2. Create scenarios with your child in which manners and courtesy should be used and have your child practice being courteous and polite. Skills practiced with this activity include: using manners, cooperating, asking for help, following directions, and taking turns. Pretend you are at a restaurant. Have your child be the waiter and you be the customer. Show your child how to order food using the word please, how to say thank you when the waiter brings you your food, and how to say excuse me if you burp at the table. Then you play the role of the waiter and have your child use the same manners as she plays the customer. If your child forgets her manners, give guidance as needed. Pretend you are in a store. Have your child be the clerk while you play the customer, then reverse roles. Practice skills such as asking the clerk for help (e.g., “Excuse me, where can I find dish soap?”) and saying please, thank you, and have a nice day. Take turns making statements and purposely say them in a discourteous way, intentionally leaving out polite words. Tell your child that after you make the impolite statement, she should restate it in a polite and courteous way. For example if you said “Give me that book now!” Your child should say “Can I look at your book please?” Then you take a turn. Have your child say something impolitely and you say it in a polite way. Besides the activities mentioned here, always set the example of using good manners and encourage your child to do the same. Praise your child when you notice her being polite and courteous (e.g., “I really like how you asked Tommy to play with his toy. That was so polite!”). 3. Practice decision making scenarios and strategies. Skills practiced with this activity include making decisions, listening and respecting another persons opinion. 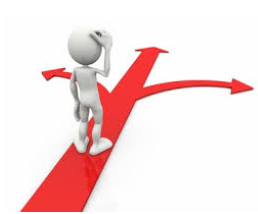 Frequently give your child choices to have her practice making decisions. Some children need choices limited to only a few things (e.g., “Do you want to wear the red or green shirt?” “Do you want turkey, chicken, or ham for lunch?”). If your child does not decide after a considerable amount of time, set limits to prompt the decision. You can say something such as “You need to decide in 15 seconds.” and then count backwards from 15. Have your child practice giving you choices as well. For example she can ask you if you want to play chess or checkers, if you want to play a game with her before or after dinner, or a more open-ended decision such as “What do you want to watch on TV tonight.” Model for your child what making a decision looks like. Talk to her about how you came up with your choice (e.g., “I decided to play chess instead of checkers because I like chess better,” “I want to watch a funny movie tonight because I am in the mood to laugh.”). If your child has a more serious decision to make such as whether or not to keep someone as a friend, stay on the football team, or keep an after school job, teach her how to make a list of pros and cons, examine the points on her list, and make the best decision after thoroughly weighing the benefits and disadvantages. 4. 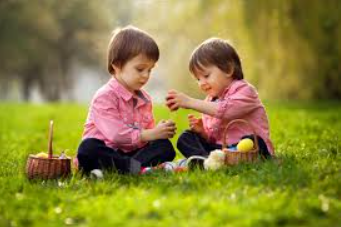 Take turns with your child giving each other instructions to complete a task. Skills practiced with this activity include listening, following directions, taking turns, and cooperating. This can be used in a variety of situations such as an arts and crafts activity, a scavenger hunt, an academic task, a cooking activity, a physical activity, and much more. For example, you can tell your child to get crayons and paper from the drawer and put them on the table. When it is her turn, she can tell you to pick up a red crayon and draw an apple. Then you can tell her to get glue and glitter from the cabinet, put glue on the apple and pour the glitter on. For a physical activity, you can tell your child to do ten jumping jacks, one push up, and one sit up. Then have her give you a physical activity to complete. For a scavenger hunt you can say, “Find an envelope, a spoon, and a pillow and bring them back to me.” Then have her tell you to find things. Giving each other instructions like this is a great way to bond while teaching your child to pay close attention to your details. Some children have trouble following multiple directions at a time. You can start with one direction and as your child improves, gradually add more. Give your child feedback on how she did (e.g., “You got the crayons and put them on the table, but you forgot the paper.”) If you want, you can recreate the scenario (put the crayons back) and have your child try again. You can also have your child repeat the instructions back to you before she does the task. Once she gets the hang of repeating the instructions aloud, teach her to repeat the instructions back to herself in her own mind before completing any task given to her. You can also have the television on in the background or do this activity at a busy park to have your child practice tuning out distractions. Tell her before hand that she needs to focus on your instructions and ignore any distractions, just like she may have to in school. If your child becomes distracted, use a clear short directive to bring her attention back to the instructions (e.g.,”Keep focusing on the instructions I am giving you.”). 5. Create scenarios in which your child has to use her words to communicate her wants and needs. Skills practiced with this activity include asking for help, building independence, and using manners. Give your child a new toy or a snack with a wrapper that you know she may have trouble opening. Wait to see if she will try to open it on her own. If she struggles, do not offer help right away. Wait for her to ask for help. If she cannot open it and does not ask you for help remind her how to ask for help politely and encourage her to do so. When she asks for help in a polite way, open the package for her. In general, when you see your child needs help with something, wait to see if she will figure it out on her own or ask you for help, before jumping in with a statement such as “Here, let me help you.” Encourage your child to ask for help when she needs it and remind her to do this at school or anytime she is not with you. 6. Encourage your child to share her belongings with others and practice asking others for permission to use their belongings. Skills practiced with this activity include asking for permission, sharing, cooperating, taking turns, having empathy, and using manners. Work together with your child to set up the room with some of her favorite belongings (e.g., her favorite toys, her pens, paper, and crayons, her favorite snack, etc.). Have your own belongings there too (e.g., a book that is yours, your calculator, your favorite snack, etc.) Take turns with your child, asking each other to share your belongings. Practice asking in a courteous way using polite words. (e.g., “Can I have some of your snack please?” “Can I look at you book please?” etc.). Also take turns offering your belongings to each other (e.g., “Would you like some of my snack?” “Do you want to play with my toy?” etc.). Praise your child for using polite words to ask permission to use your belongings and for sharing her belongings with you. Generalize the activity above to real life scenarios. Remind your child to always ask nicely when she wants others to share with her and to offer to share with others when playing with siblings, interacting with peers, etc. Teach empathy by talking to your child about how it feels when someone won’t share with you or when someone takes your belongings without asking. Let your child know that you are proud of her and she should be proud of herself when she shares with others and asks others to borrow or play with their belongings in a nice way. Set an example for your child by showing the same polite manners when you have the chance to share with others or ask to borrow things from others. If you see your child snatching a toy from another child, asking impolitely, or refusing to share, remind her to use her words, ask nicely, and share with others. Praise your child for asking and sharing nicely. 7. Practice teasing scenarios with your child. Skills practiced with this activity include communicating with others and sticking up for oneself. Take turns having one person be the “teaser” and the other person being the one who gets teased. Show your child what kinds of responses you can give to someone who is teasing you in a way that allows you to stick up for yourself. Have your child practice using these responses. Remind your child to stay calm when giving her responses because children who tease often want to make people upset. Remind your child that showing she is upset gives the teaser what he wants. If she stays calm, the teaser is not getting what he wants and is more likely to stop the behavior. After each scenario, have your child practice walking away from the teaser. Remind your child to talk to an adult (parent, guidance counselor, or other trusted adult) if someone won’t stop teasing her, if she feels scared of another child or group of children, or if she wants to talk about her feelings. If you have concerns that your child is being bullied or if you want more information on how to handle bullying see, How to End Bullying Part 1: 19 Tips for Parents and Teachers. 8. Play board games, card games, or other types of games with your child. Any game such as Monopoly, Life, Trouble, Connect Four, Go Fish, or Uno can teach your child social skills such as cooperating with others, listening, following directions, waiting one’s turn, and dealing with losing. Many children have trouble losing, so practicing losing at home will help prepare them for when they lose at school or in the community. For children who become overly upset when they lose, keep practicing. The more they have the opportunity to lose, the better they will become at accepting a loss. Be empathetic with your child (e.g., “I know you are upset because you wanted to win.”), but also explain that losing is a part of life and that they have to accept it. Tell them that sometimes they will win and sometimes they won’t. Set a good example by staying calm and accepting it when you yourself lose at something. If your child has a temper tantrum when she loses, even after you have been empathetic with her, try to redirect her to another activity or ignore the tantrum. If you are concerned about major temper tantrums we recommend the article How to Prevent and Handle Temper Tantrums. 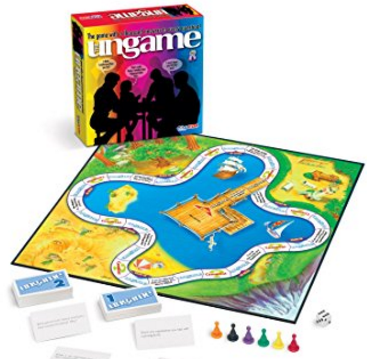 Here are three highly rated board games specifically designed to work on social skills such as taking turns, expressing feelings, listening, following directions, developing empathy, playing with others, and more. (These games do not have a competitive edge. If you want your child to have opportunities to experience losing, more traditional games such as the ones mentioned above would be a better option). This cheerfully animated card deck is a therapeutic tool designed to help parents, teachers and mental health professionals engage children ages 5 and up. 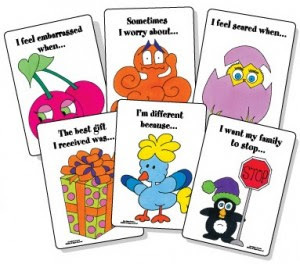 The deck contains 35 cards especially effective in helping children name, process, and work through a variety of feeling and situations, including changes within the family, trauma, grief, anger, depression, anxiety and fears. Children also practice taking turns, communicating their thoughts and feelings, empathy and listening skills. 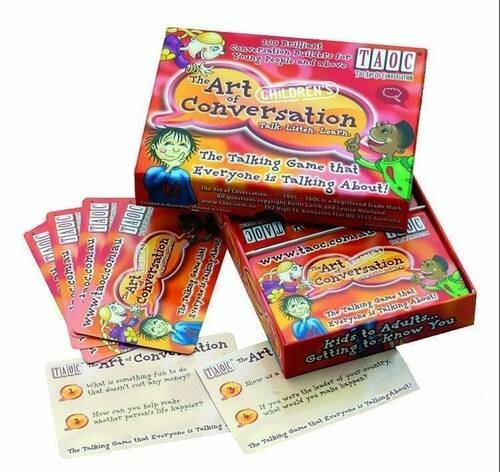 This is a great game to work on conversational skills, expressing feelings, taking turns, listening and empathy. Players progress along the playing board as they answer questions such as, “What are the four most important things in your life?” and “What do you think life would be like in 100 years?” This is a non-competitive game that can be a great ice-breaker and lead to a serious exchange of thoughts, feelings and ideas. Ages 5 to adult, and for 2 to 6 players. The 16 page communication booklet that comes with this game provides many variations of how to play, including a solo version. The Art of Children’s Communication is designed with families, therapists, counselors, teachers, speech pathologists, language teachers, coaches, and more in mind. Side Note: To teach self-evaluation, discuss how you and your child did during each activity. Give specific feedback about what went well and discuss areas that need improvement. Let your child share his/her own thoughts and perceptions about how each of you did during the activity. Encourage your child to think about his/her own behavior when he/she is involved in similar real-life scenarios. Keep in mind that the activities in this article are recommendations. Please do not try to pressure a child into participating in any of these activities. This can lead to frustration, which can turn your child off to social skills practice. Remember to always stay calm when working with a child or student, even if you think they should be getting something that they are not getting. If you get frustrated with them, they may start to feel anxious, angry, inferior, stupid, etc. which will lead to a less productive learning session. Keep practice sessions short (5 to 10 minutes for younger children or children who get easily frustrated and 10 to 15 minutes for older children or children who can work for longer periods without frustration), unless the child is eager to keep going. If you have significant concerns about your child’s ability to develop social skills or any other concerns about his/her learning, development, or behavior, talk to your child’s health care provider. Thank you for visiting educationandbehavior.com. A free resource for parents/caregivers, educators, and counselors! We provide free academic, behavioral, and social-emotional support for all children. Browse our topics/categories from the menu button at the top left of the page! Receive our updates on Facebook!